What Casino's spread Poker in Nova Scotia? - Casino Answers! Casino Answers » Poker » Live Poker » What Casino’s spread Poker in Nova Scotia? What Casino’s spread Poker in Nova Scotia? If you’re from Nova Scotia and you are looking for somewhere to play poker at a live table, your only option is Casino Nova Scotia. Casino Nova Scotia has two locations – one in Halifax and another in Sydney. Casino Nova Scotia opened in 1995 at the Sheraton Hotel Halifax as they waited for their main location to be built. In April of 2000, their $100 million dollar Vegas-style casino opened up on the waterfront in downtown Halifax. The casino was a huge hit with over 600 slots and table games available to play. With nearly 35,000 square feet of gaming area and top notch restaurants like Java Jazz and Trapeze, it’s no surprise that the casino continues to thrive today. The original Casino Nova Scotia was such a success that they added a second location in Sydney, also in 1995. Players who aren’t in the Halifax or Sydney areas and are not looking to make a trip to either city can still play poker online at Doyle's Room. 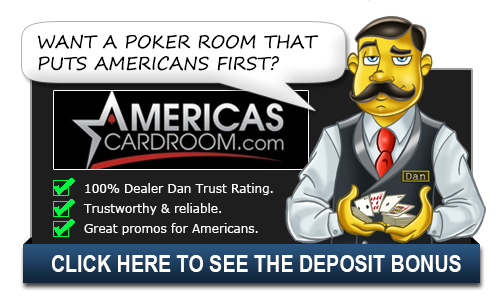 You can play poker with Doyle Brunson himself. Doyles Room offers weekly $50,000 bounty tournaments with lots of other exciting tournaments. In total, there is over $6 million in tournaments every month! While Casino Nova Scotia Halifax is open 24 hours on Friday and Saturday and 10am to 4am every other day, poker tables and table games are only open from 12pm to 4am. The Halifax casino offers 8 Texas Hold’em tables. They also run satellites for various tournaments such as the B.C. Poker Championships. The casino is a 34,900 sq ft facility and is located at 1983 Upper Water Street. It is a beautiful location and a great place to play some poker or spend a night. You can get all of the details, including the latest promos, tournament schedules, buy-in information and more, please visit Casino Nova Scotia Halifax. For players on Cape Breton Island, Casino Nova Scotia’s Sydney location is open from 11am to 3am and is then open 24 hours a day from Thursday until Monday at 3am. The poker room is only open on Wednesday through Sundays at 6pm to 2am and offers Texas Hold’em. There is a waiting list that you can sign up for at 4pm by phone or in person. The casino is located at 525 George Street. For more information on Casino Nova Scotia Sydney, click here. If you’re unable or would rather not make the trip to either of these locations, you can always play online poker from the comfort of your own home at Doyle's Room. While playing live can be a lot of fun, there isn’t the same types of time restrictions as you can play anytime day or night with players from all over the world. There is also the ability to play multiple tables at once which is just something that wouldn’t be possible (or allowed) at Casino Nova Scotia.